The Stagecoach Century is a scenic desert century. 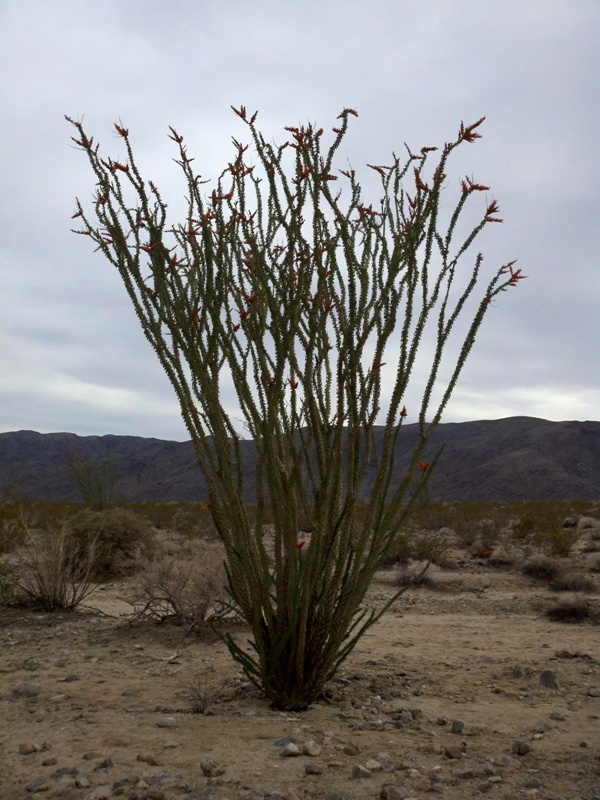 The out-and-back course starts in Ocotillo and follows the historic Great Southern Overland Stage Route of 1849 to Scissors Crossing, passing through Anza-Borrego Desert State Park. 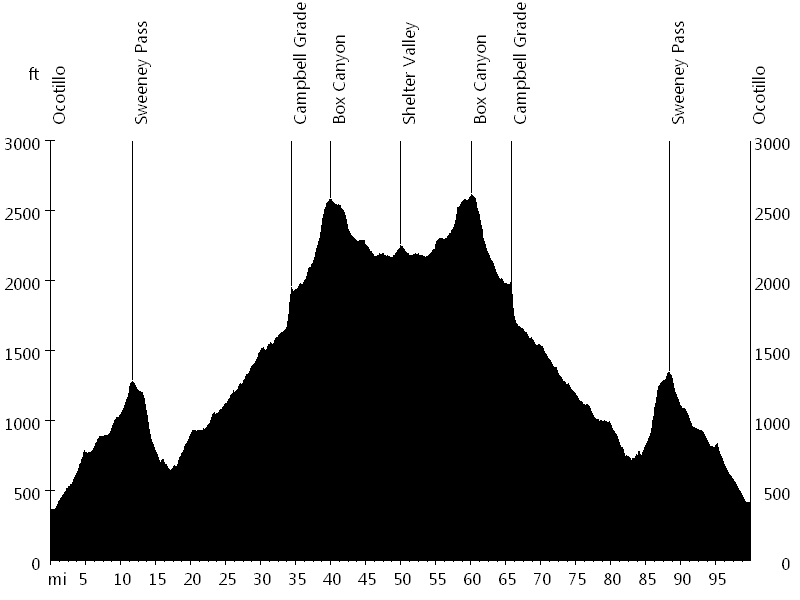 The first half of the course ascends gradually from sea level to above 2,000 feet, which makes for a fast second half. At the lunch stop I met Kenji F. from San Clemente, and we rode back together. It turned out that I knew his dad Ken, whose swim clinic I attended three years ago. Ken is the person who got me interested in an Ironman. This year I rode with Bart B. from the Renegades. We ran into John U. and Susen S. on their tandem. This year I rode with Sandra and Lisa. We ran into John U., Susen S., and Mike G. from the Renegades.